In yesterday’s post, I made the assertion we should focus on areas of personal strengths, not areas of weakness, when we are looking to better ourselves. That goes against our natural tendency. 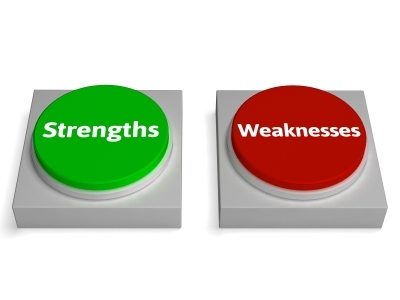 We usually see areas of weakness as a barrier to excellence. I suggested pouring more time and effort into our strengths, so as to push us past a threshold we’ve been bumping up against, into an elite status of functioning. I believe so, if this is the case – when you discover a new passion. Then I could see the logic in starting from the ground up and pursuing that passion with full intensity. This would be all the more appropriate if the newfound passion connected in some way with another segment of your life – like what has happened to me with Luke1428. I used to think the best way to achieve big-time personal success was to be a well rounded person, with knowledge and skill spanning many different areas. 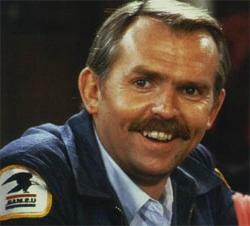 I’d become the Cliff Clavin know-it-all type, the person who could be plugged into any situation to give advice or help facilitate a positive outcome. By being a well rounded person, jack-of-all-trades type, I would become indispensable and people would flock to me for advice and counsel. Isn’t this philosophy what our school systems promote through the curriculum track? A student with exceptional talent and designs on a career in science must still take general education classes in English and social studies, perhaps even a foreign language. Those classes serve some but not much purpose in relation to the students desired outcome, which is to meet the requirements for graduation. This post isn’t about the challenges in the educational system. I’ve been involved in education for 15+ years, so I understand the value of having students touch the various fields of study. We would be doing them a disservice if they didn’t have some basic math or grammar skills by the time they finish school. But how much math does the average graduate really need to be functional in society, especially when it comes to managing their financial life? They basically need to know how to add and subtract so they can balance a checkbook. What I’m suggesting here is the notion of being a well rounded person only serves to generate mediocrity. Being a jack-of-all-trades means I’m a master at none. Who wants that? I’d rather work to become awesome in a few things instead of average at many, wouldn’t you? A Well Rounded Person or Awesome Person?